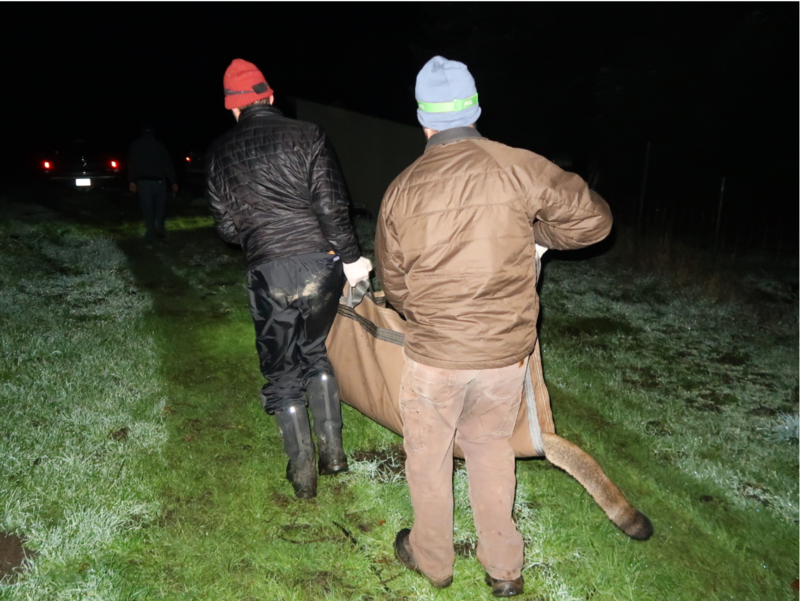 After tranquilizing the big cat, Dr. Quinton Martins and our capture team movemove him to the exam area. A soft cloth covers the eyes of the mountain lion to reduce stress on the big cat. 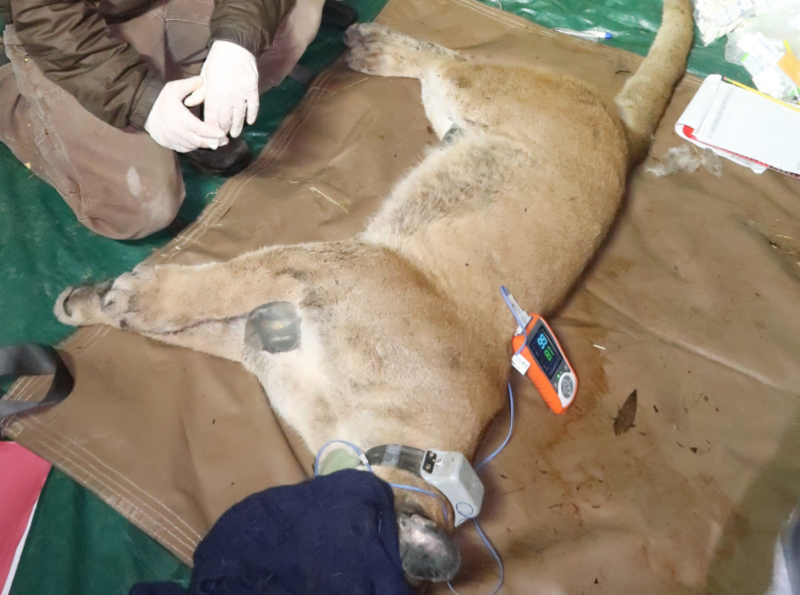 Biologic measurements and samples are taken and vitals monitored by the on-site veterinarian. 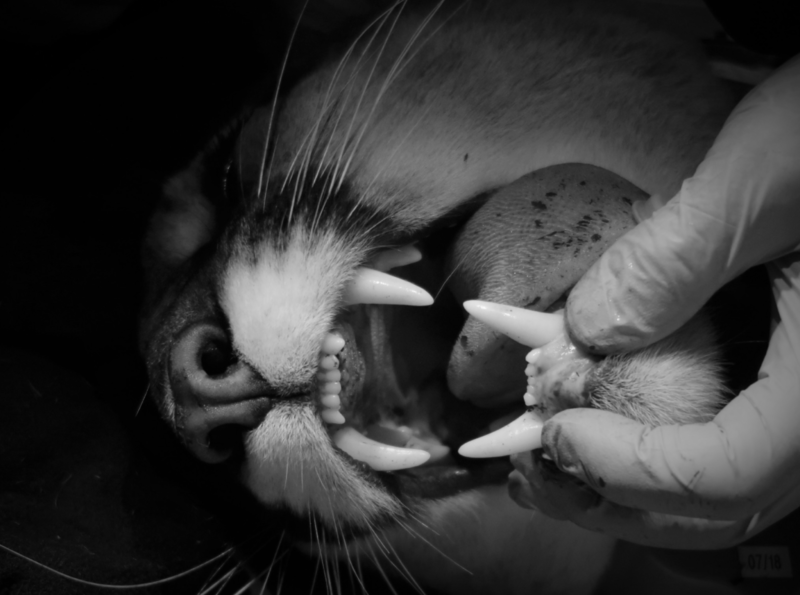 Teeth are inspected for injury and measured to determine the age of the mountain lion. 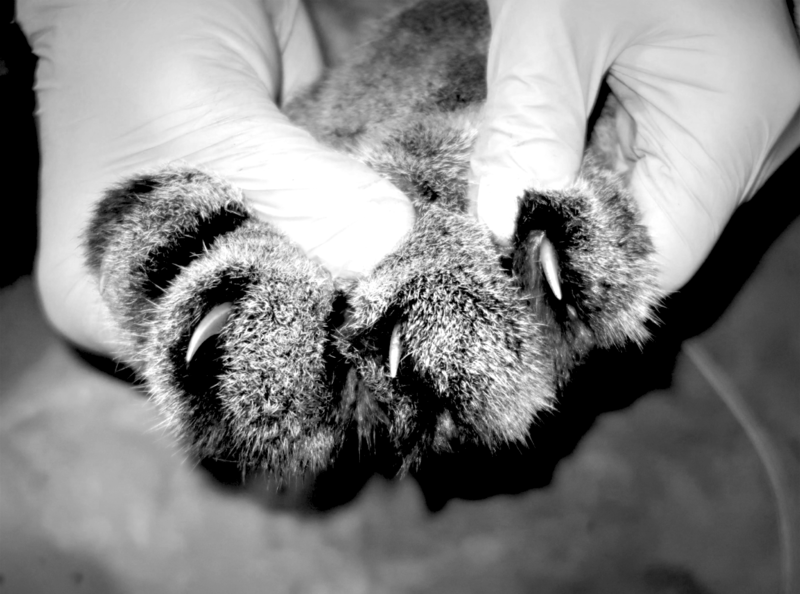 Claws are inspected for injury. Paws are measured.